Dennis is the ultimate in-the-pocket player. A veteran percussionist in the Albany area for more than 20 years, Dennis is the man who drives The Ill Funk Ensemble with slick hip-hop and funk beats. 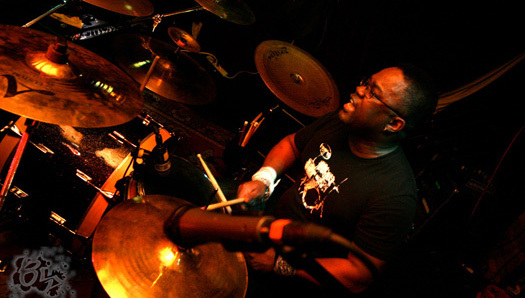 Completing one of the best rhythm sections in the Northeast, Dennis is THE go-to guy when you need funky, authentic soul beats.